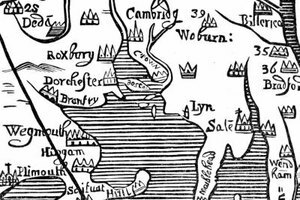 John Winthrop and the Puritans founded the Massachusetts Bay Colony in 1630. In 1630, a religious group with beliefs based on extremely conservative principles landed in New England. 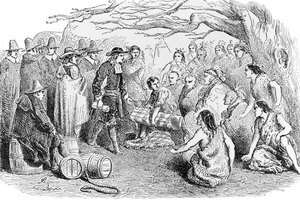 They were known as Puritans, and with their leader, John Winthrop, they founded the Massachusetts Bay Colony. 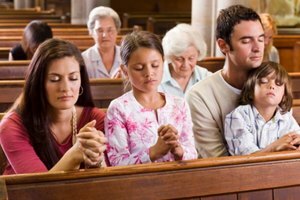 The Puritans had come to America so they could worship in the way they chose. As a result, their laws and lifestyles were based on Puritanism, making their culture unique among colonies of the time. The Puritan system of government was a blend of theocracy and modern democracy. 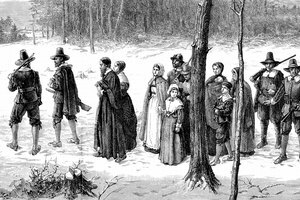 All members of the Puritan colony were required to attend church and to pay taxes to the church, but not all colonists were church members. The colony also had codified laws that provided some basic rights, including the right to vote for elected officials, although this right was only granted to members of the church. Although the Puritans were deeply religious, members of the clergy were not allowed to hold public office; however, the church worked closely with local government to ensure that all laws were adhered to. 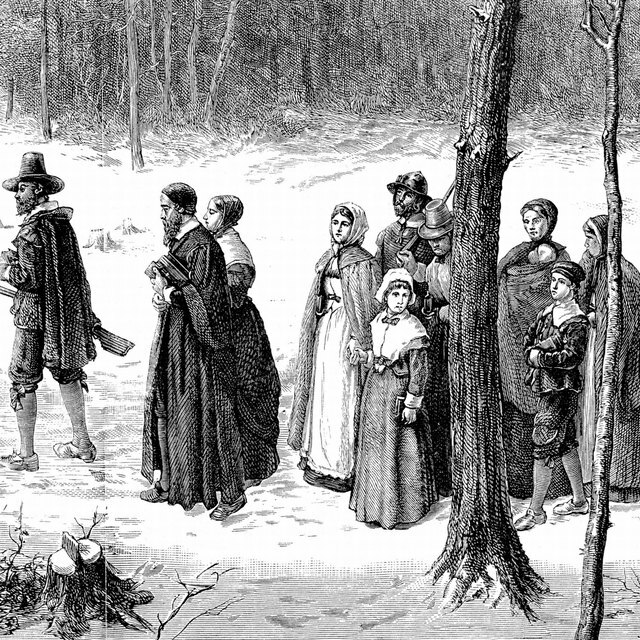 The Puritans placed a high importance on morality and living lives that were free from sin. As a result, the laws of the Massachusetts Bay Colony focused heavily on regulating the sexual practices of the colonists and ensuring that they kept the Sabbath and lived according to the Puritan moral code. Puritan law issued severe penalties for sexual misconduct (activities that were perceived as unnatural or that took place outside marriage) that included whipping, branding and, in extreme cases, execution. The family was extremely important to Puritan culture. Single people were frowned upon, although single women had more legal freedom than married women did. Single women could own businesses and property, but when they married, they became legally indistinct from their husbands, a system known as coverture. 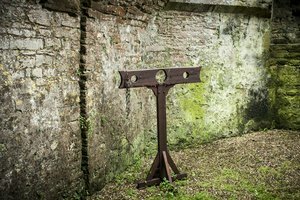 Children were seen as inherently sinful, and Puritan culture made it a priority to break a child's will through beatings and other punishment. Life expectancy was short; remarriage was common and infant mortality was extremely high. The Puritans traveled to the New World for religious freedom for themselves, but they did not tolerate the beliefs of others. In addition to not being allowed to vote, non-Puritans were victimized in other ways. In 1658, the Puritans passed a law banning Quakers from the Massachusetts Bay Colony under pain of death and executed several Quakers, most notably Mary Dyer, who was seen as a martyr for her faith. Anne Hutchinson, a religious liberal, midwife, and vocal critic of Puritan ministers, was banished from the colony for holding religious meetings in her home and claiming that people did not need the clergy in order to communicate with God. Clark, Agatha. "How Did Puritan Beliefs Influence the Type of Colony Built?" Synonym, https://classroom.synonym.com/did-puritan-beliefs-influence-type-colony-built-6367.html. Accessed 25 April 2019.